Continuing Education builds powerful relationships with architects and designers. AIA and LEED online courses educate design professionals about your products. By becoming their industry expert, they will contact you when they need assistance with your types of products. GreenCE is an AIA Education Provider and USGBC Education Partner. We offer free courses online so that design professionals can maintain their mandatory AIA and GBCI Hours. Get your products specified for LEED certified projects by offering LEED online education. Educate thousands of LEED APs, architects, engineers, interior designers, and contractors through our online courses and webinars. Webinars are one of the most successful methods of AIA continuing education to educate architects, designers, and engineers about your building products. To get your product specified, your team needs the most effective tools to do the job. AIA continuing education webinars and LEED webinars can teach architects about the benefits of your building product. A GreenCE webinar will have 200-350 design professionals participate. Your company will receive a detailed attendance report that contains the contact information, profession demographics, session questions, and survey results. Whether design professionals are living in the city or in a rural area, they will have the opportunity to learn about your building products, and earn CE Hours without ever leaving the comfort of their home or office. GreenCE can develop ADA training webinars, AIA continuing education, and LEED Specific hours focused on your product technology. Webinar courses are a powerful tool to educate architects who need their mandatory CEUs. AIA members must have 18 hours of continuing education annually. Free AIA webinars allow your company an opportunity to build relationships with the decision makers and improve product specification. LEED webinars can help your team educate LEED APs and LEED Green Associates. As green building continues to increase across the country, your company can benefit from the development of a GBCI hour or LEED Specific Hour course. Green building professionals need these important CE hours to maintain their credential. A free LEED webinar offered by your company can assist you in your efforts to get specified on LEED certified projects. If you manufacture an ADA related product, our team can develop a TX ADA course or CA ADA course. Texas and California architects must have ADA CE Hours in orders to maintain their license. Barrier-free and ADA webinars are very popular and can benefit your building product specification opportunities. Online Anytime courses are necessary tools for building product manufacturers to educate architects. 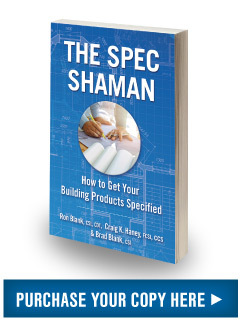 In order to get specified by architects, they must have knowledge of your brand and product, know the product’s benefits, and understand how to specify your product. Get products specified through online courses that work for your company 24/7. GreenCE will host your CE course on our website. We grade the tests, file the credits with AIA and the USGBC, maintain the records as required by the AIA, and provide participants with their Certificates of Completion. We also offer technical support that participants may need, and advertise the course through our online course listing and via our newsletter to a database of more than 100,000 design professionals. Continuing education online courses generate leads, brand awareness, and build powerful relationships with architects. By offering free AIA courses online or free LEED courses, your organization becomes a valuable resource. Architects and LEED professionals can learn about your building product, maintain their CE hours, and call on you when they need assistance. Architect continuing education will increase opportunities of getting your product specified. Face to Face education offers your product reps the opportunity to forge effective relationships with architects, specifiers, LEED professionals, engineers, and other design professionals. Your product reps can present the sponsored course at architecture firms across the country and utilize the online participant submittal process 24/7. We will register your course, report member credits to the AIA, maintain records as required by the AIA, provide students with their Certificate of Completion, and advertise the course through our online course listing and extensive A/E database. AIA lunch and learns and box lunch seminars have been used effectively for years to educate architects about building products. Classroom continuing education is a popular format and adds a personal and exclusive touch to education events. Getting products specified can be difficult in a world of distractions, red tape, and limited time. Face to Face education cuts through the clutter so that you can speak directly to the specifiers and project architects and ensure that they understand your building product. Getting your product specified is our main goal.